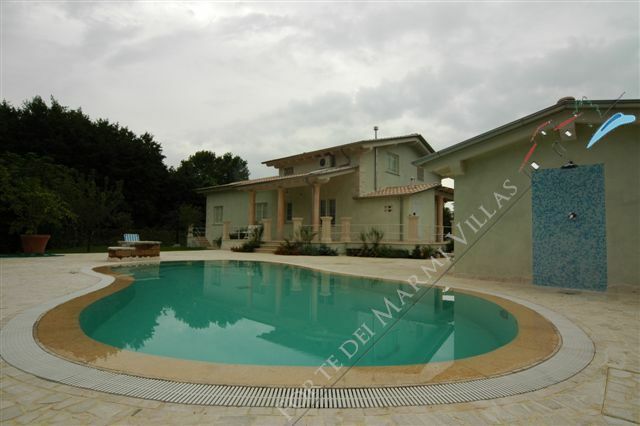 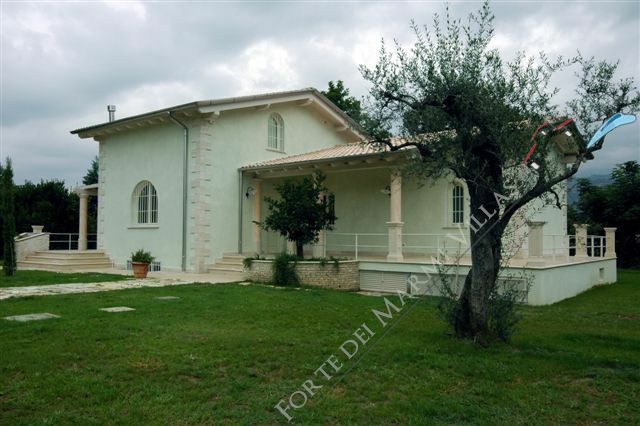 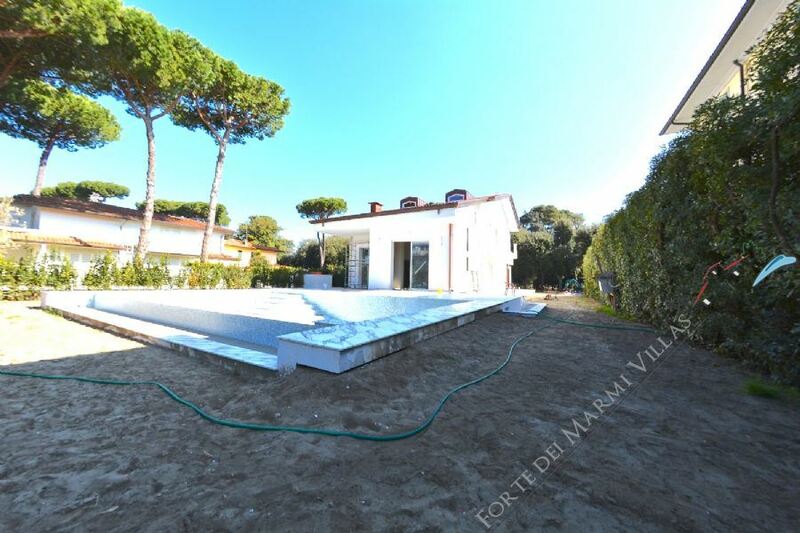 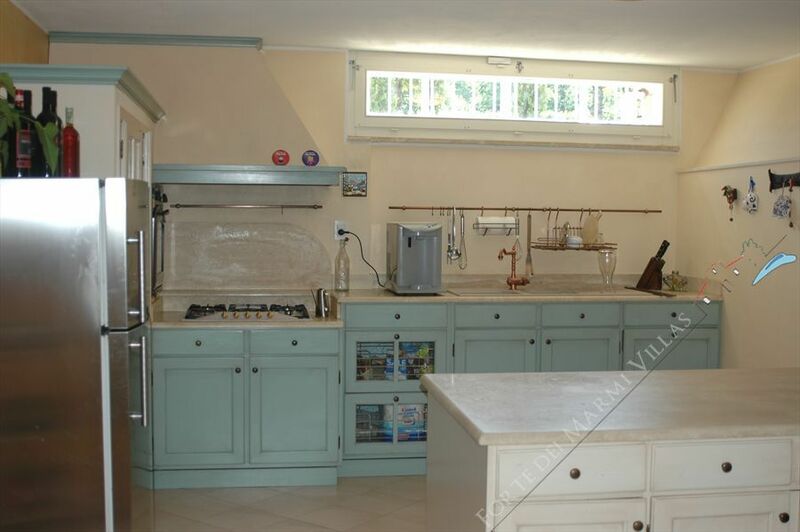 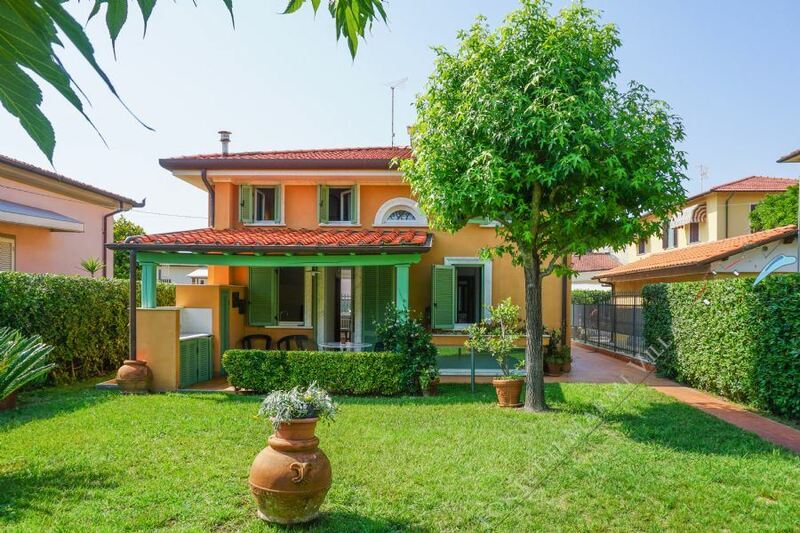 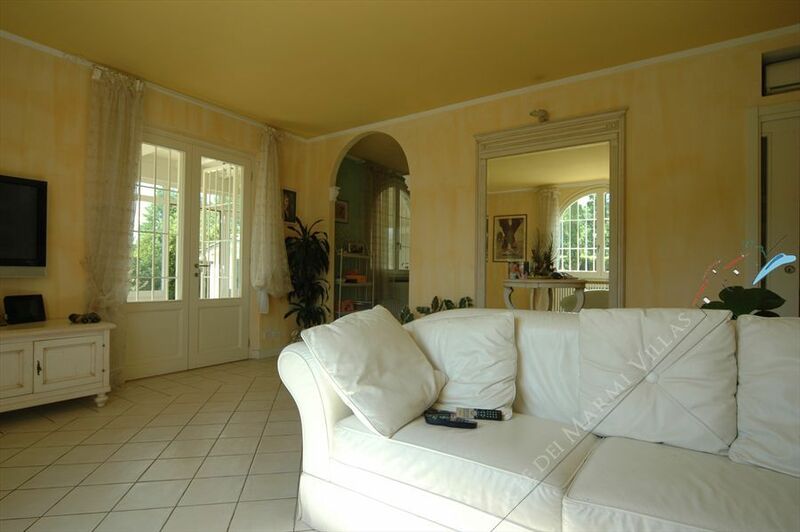 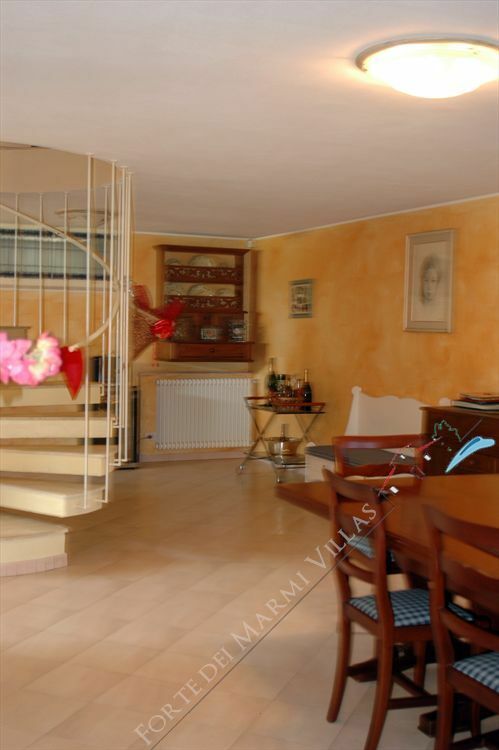 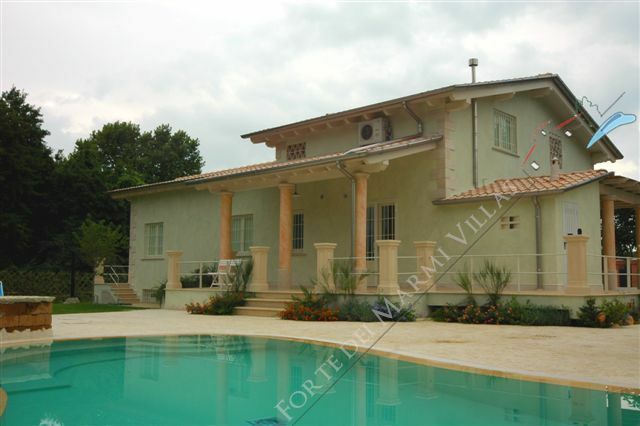 A spacious, detached villa with a well-kept garden and a pool with heated water, located between Forte dei Marmi and Marina di Pietrasanta, at a distance of 1 kilometer from the sea. The house features a large living room, a fully equipped kitchen, 4 bedrooms and 4 bathrooms. 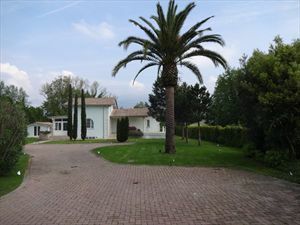 In the garden there is a guest house with bedroom and bathroom. 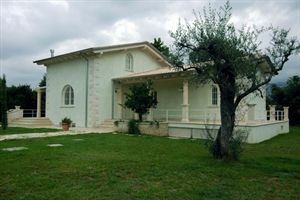 The villa benefits from air conditioning, alarm system, satellite TV, Wi-Fi, barbecue, automatic gate, private parking.